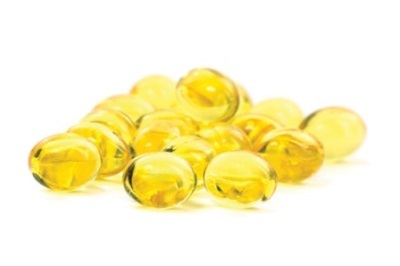 The “new kid on the block” in the world of vitamins – Vitamin D3 – has taken the health world by storm. So why are experts so excited about Vitamin D3, and how can we get more of it? By the way it has to be D3 not D2. Vitamin D3 is in fact a hormone from the same family of steroid hormones as estrogen, progesterone, testosterone, and cortisol. This means that, like these other hormones, vitamin D regulates gene expression in the nucleus of a cell. It doesn’t just have a seat on the front row in regulating our biochemistry, it is conducting the orchestra! It was thought that we could get quite a lot from the sun and milk, but both are proving to be less than effective for our needs, as 60-80% of the world’s population appear to be dismally deficient in this vital nutrient. We can thank sunscreen for this to a large degree, as it blocks the beneficial rays which turn our cholesterol in the skin (a good thing God gave us by the way, cholesterol is not our enemy) into valuable vitamin D3. The darker your skin, the more your natural SPF – and usually the more deficient you are. The National Health and Nutrition Examination Survey III conducted by the Centre for Disease Control shows a relationship between vitamin D deficiency and obesity, hypertension and diabetes in adults. It’s also common knowledge that vitamin D is important for calcium absorption and strong bones and teeth. Amazingly when you have enough vitamin D, your calcium needs drop by half! We now also know that vitamin D slows cell growth (in malignant tumours), and vitamin D is being used in cancer treatment in many centres around the world. There is evidence that atrial fibrillation is linked to low vitamin D levels. The evidence is overwhelming that vitamin D plays a vital role in breast and other cancer prevention. Vitamin D has also been found to be highly beneficial in preventing heart disease – there are so many benefits, there’s not room to list them all. Receptors that respond to vitamin D have been found in almost every human cell ranging from brain to bones and researchers are finding health benefits of vitamin D in every area they look. Unfortunately not that many foods contain vitamin D. Some fish such as salmon, tuna and mackerel, as well as fish liver oils are considered to be the best sources, but vitamin D is also present in beef liver, cheese and egg yolks. Vitamin D is perhaps best taken in a variety of these foods, limited sunlight and wise supplementation. Get your D3 in 5000iu here. Please note – I strongly recommend that you take vitamin K2 with D3 always.